We pays great attentions to the shopping experiences from the customers. If you have any problems with our items or services, please feel free to contact us first. Made of high quality PVC plastic, Perfect gift for children. Ideal for cake decor or cupcake toppers, birthday cake. 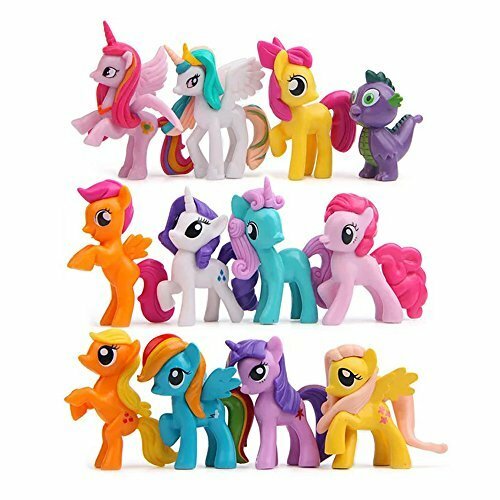 Ponies are approximately 1.5 to 2 inches tall. This set is amazing as Cake Toppers, Cupcake Decorations or Holiday Bags. They are good ornament. bedroom, car, drawing room and so on. If you have any questions about this product by QTFHR, contact us by completing and submitting the form below. If you are looking for a specif part number, please include it with your message.